Hiking-themed tour along the Wild section of the Great Wall! ​Join our team for this private hiking-focused Beijing Day Tour along the Great Wall of China! 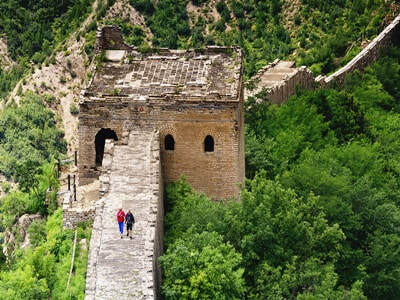 The Beijing Hiking Day Tour is a perfect choice for visitors looking to get off-the-beaten track, engage in some hiking along the Great Wall and enjoy the views during an active private Beijing Day Tour. Please note, if you'd like to find out the latest pricing for our Great Wall Hiking Private Beijing Tour, please contact us directly. In the morning, your private tour guide and driver will meet you at your Beijing Hotel lobby. We recommend meeting a meeting time of 8:00 am based upon commencing the hike at 10:30 am. It takes approximately 2 x hours to travel from central Beijing hotels to the Simatai West section of the Great Wall of China. The Simatai West to Jinshanling hike is considered to be the most spectacular option for hikers visiting the Great Wall of China. After a 40 minute initial uphill ascent, hikers will be amazed by the East-Five-Eye watchtower located at Simatai West. Therefore, continue the hike west towards Jinshanling. 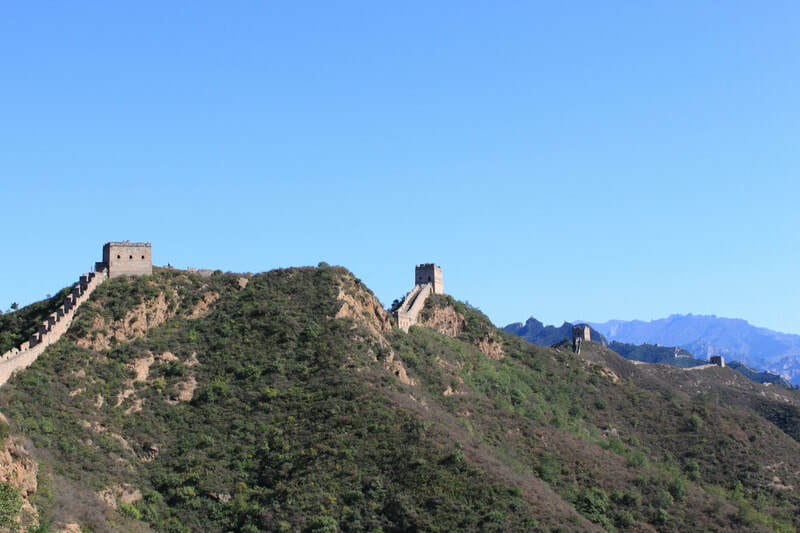 With over 15 watch-towers (with different shapes and sizes) along this section of the wall combined with incredible panoramic scenery, on a clear day the scenery is a photographer's dream! You'll be amazed at the views below and throughout this 3 hour hike. Throughout the hike, you'll have the option to stopover for photographs and enjoy the surrounding scenery on this historical landmark. 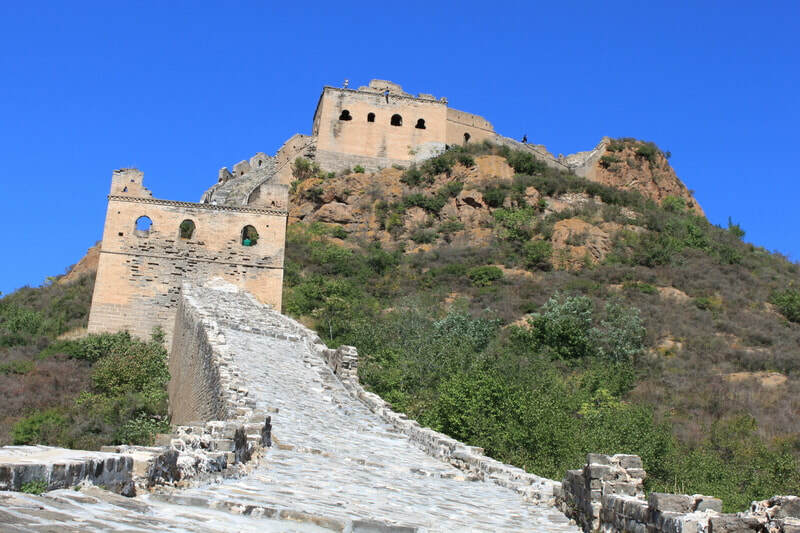 Upon arriving into Jinshanling, you'll descend the Great Wall at the Shalingkou section. For those active hikers seeking to walk further, there is an extra distance available (no additional fee) to continue for a further 30 minutes and descend at the Zhuanduokou section. Please communicate with your tour guide regarding your preferences. Upon descent, lunch will be waiting for you, where you'll enjoy a delicious lunch at a local farmer's restaurant. There are a number of different dishes and food available so if you have any dietary restrictions or food preferences, please let us know so we can prepare accordingly. Following lunch, return transfer to your Beijing hotel to conclude the tour. END OF TOUR.